We are so blessed to have tools around us that help us make our tasks easier. The search for the best wheelbarrow is no joke. Just imagine carrying a number of pots or a tower garden from one point to another. There would be two things that could happen: if you move them one by one, you will be wasting a lot of time. On the other hand, if you transport them by bulk, you would strain your muscles and body. In any case, it will not make your gardening experience pleasurable. 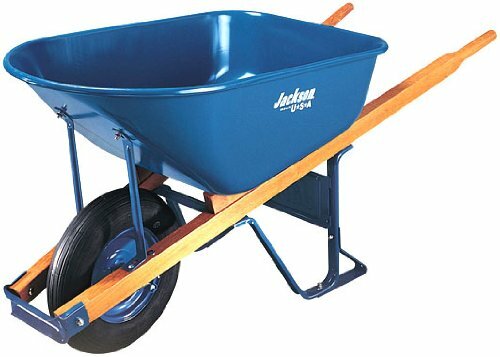 A wheelbarrow has different parts and you have to take them into consideration so that you can exhaust the possibilities of its uses. The traditional wheelbarrow only has one wheel. However, these days, the design was modified for more stability that’s why it is normal to find two wheels. 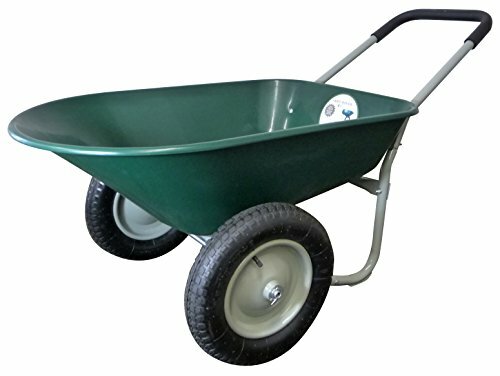 Find a wheelbarrow with a very sturdy wheel. As much as possible, the rims and the hubs should be made of metal. Plastic rims and hubs cannot handle overloads. It will also crack in due time. Make sure that all the screws are safely secured. If a screw is missing, it will cause the hub to fall off eventually and instead of making you finish your job faster, you will need more time to clean up the mess afterwards! The wheels can make or break a product. Since the major idea is to transport items, a deformed wheel that makes the carrier wiggle as you maneuver it will make the task challenging. The barrow is the essence of the machine. You should check this part as meticulously as you checked the wheels. Make sure you have an idea about the estimated weight you would carry around using your wheelbarrow. A barrow that is too small will just help you triflingly and a barrow that is too large without serving its purpose will just give you a headache thinking where and how to store it. Check for cracks or rusts, if you are buying plastic or steel respectively, as this damage will just grow bigger as the times go by. You do not want it to break in the middle of your work, isn’t it? The handle of your wheelbarrow should be robust. Remember, you will be putting heavy items on your wheelbarrow, if it is not tough, it can break and hurt you. Cushioned handles will be a plus as this will prevent occurrences of calluses on your hand as you make use of it frequently. Just like the aforementioned part, one requirement it needs to fulfill is solidity. Checks if it is properly aligned as well; you do not want your items to spill off the barrow when you leave them. It is a transformer! Yes, (well not the Autobot type if that’s what you’re expecting, sorry) but it serves as a cart, dolly cylinder carrier and tote for your trailers. It can carry items that weigh as much as 200 pounds and because of its Turbo Lift feature, you will not even feel that you’re carrying 25 pounds. There are extensions. This will enable you to work without causing too much strains to your back and arms as you can adjust the length of its arms according to your needs. The size is only perfect for small scale use. It also has pink color! If you are looking for a very sturdy wheelbarrow, this one is for you. This item has an H brace. It makes it well balanced even if the load inside is not. You can even leave your landfills or even compost here for some time without worrying that it will spill over when someone bumps into it. What do I plan to carry using this? What is the estimated weight I want to carry in one time? How big is my storage area? What material would I want? 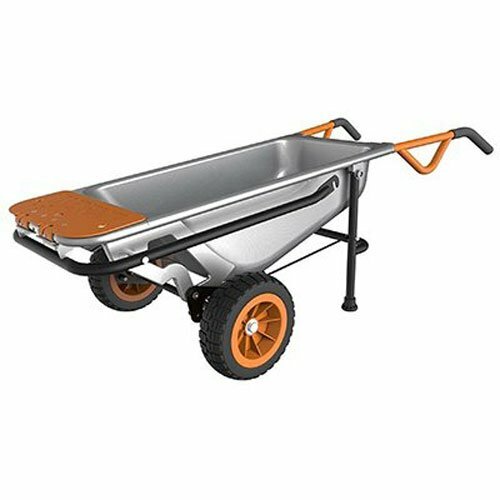 Overall, I would highly recommend Jackson M6T22 6 Cubic foot Steel Tray Contractor Wheelbarrow With Front Braces. This product has great functionality without being highly expensive. It can be helpful not only in your garden but all throughout your house or business. The very good balance the H brace creates was another very big plus for me. Lastly, I would like to say that I somehow find the traditional design very attractive as well. Again, as I always say, make sure you check all the parts and you follow all manufacturer’s instruction while using your wheelbarrow. Hopefully, this material helped you in your search for the best wheelbarrow. Hit us up for comments!